Our testing procedures can be found at this link. We've not tested any medium-wattage PSU bearing the 80 PLUS Platinum certification, so to get an idea of where it sits in relation to the best supplies, we're comparing it directly against its bigger brother, the 850W version. Efficiency is good considering the supply is rated at 550W. It's more likely that it's a de-rated 700W to achieve the lower capacity. In terms of regulation, we're looking at just how well the supply is able to hold to the various lines. The ATX spec. has a +/- 5 per cent leeway on all but the -12V line. Most supplies overvolt with little load and undervolt when stressed. The two Dark Power Pro 11 models are pretty similar, with both being excellent, and we're impressed that we see so little leeway across the board. How about providing uneven loads that stress particular voltage rails? In the first attempt, we've put 40A on the 12V rails, and 1A on the 3.3V and 5V rails. This can actually be somewhat typical for a system heavy on graphics and CPU power. In the second, we've turned the tables and gone for 12A on both the 3.3V and 5V rails - highly unlikely in a real-world environment - and just 2A on the 12V - even more unlikely! Hammering one part of the PSU power delivery while using just a small portion of the other can throw cheaper supplies of out kilter. Impressive numbers once again. The ATX v2.2 spec states that the maximum permissible ripple is 120mV for the 12V line and 50mV for others. PSUs convert AC power into DC, but doing so requires the AC waveform to be suppressed. What we're really testing here is the quality of the supply's rectifier and any smoothing capacitors in getting rid of this unwanted up-and-down ripple - the raison d'être of this supply. The two supplies are very close, with the 550W model having just a fraction more ripple on the 12V line. Platinum-rated efficiency has the ancillary benefit of producing very little heat. Being close to 95 per cent efficient at 50 per cent means the fan doesn't have much work to do in order to keep the unit working at sensible temperatures. Temps are good but they mean little in isolation. 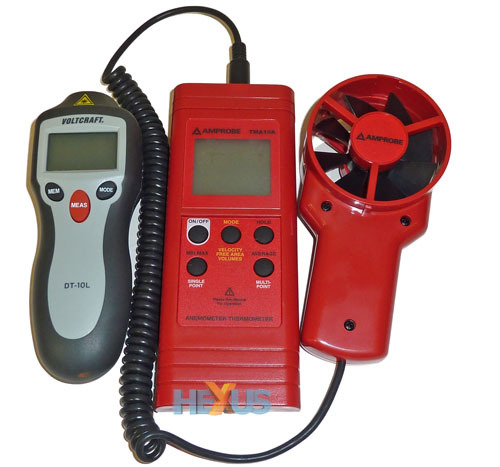 Obtaining accurate noise readings is near impossible when the supply is connected to the Chroma test harness and dual-unit load-tester. We can test the manufacturer's quietness claims in a different way, by using an AMPROBE TMA10A anemometer placed directly over the centre of the PSU. The anemometer records the airflow being pushed/pulled from the PSU's fan. We can use a Voltcraft DT-10L RPM meter to measure the rotational speed of the fan, too. We couldn't hear the fan noise above the other components in the Chroma system. You would do very, very well to hear the SilentWings 3 in an already-quiet system. The supply appears to live up to its be quiet! name.